You’re an athlete, and you know your sport. You’re familiar with how to prevent injury, and you know how to protect your muscles from overuse and strain. You’re strong, you’re healthy and you’re fit. You don’t need a personal trainer, right? Not so fast! Regardless of whether you’re a professional athlete or a weekend warrior, a personal trainer could actually quite positively impact your sports performance. If you’ve never considered a personal trainer, read on to discover X reasons athletes need personal trainers, too! Before you consider hiring a personal trainer, you’ll need to understand the difference between a personal trainer and an athletic trainer. If you’re an athlete, in particular a professional athlete, you probably already have access to an athletic trainer. That’s great! But your athletic trainer has one primary interest: injury. Athletic trainers work under the supervision of a doctor to help you prevent, diagnose and treat injuries you’ve suffered during play. 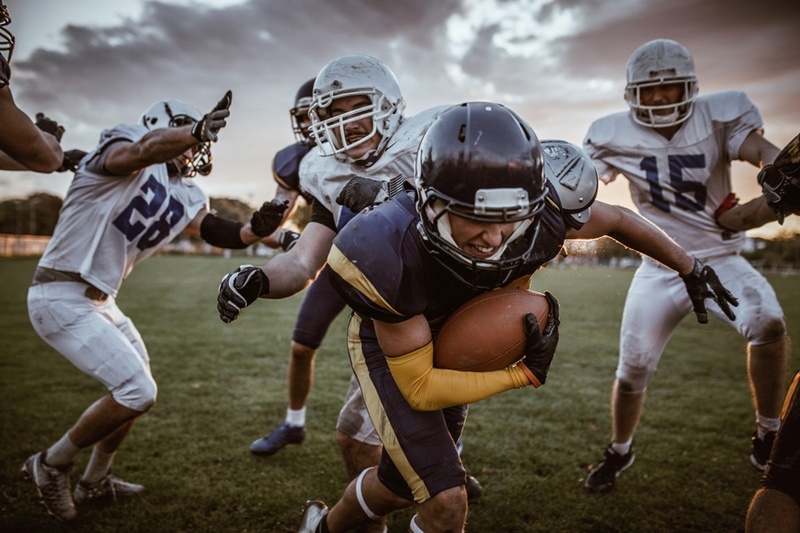 In most cases, you won’t work regularly with an athletic trainer; he’s available on a “call in case of emergency” basis and, with any luck, you won’t meet your athletic trainer at all! A personal trainer, on the other hand, has a different objective: to improve your overall health and fitness and to improve your sports performance. Together with your personal trainer, you’ll develop an exercise and nutrition plan that will build strength, prevent injury and improve your mental health and focus. The most successful athletes work with a personal trainer all year, not just during the season. Curious? If you’re interested in enlisting the help of a personal trainer, read on to discover why these professionals are beneficial to athletes. 1. You’ll learn proper technique and form. Yes, you learn proper technique and form from your coach, and you’ve likely learned through years of play, too. But a personal trainer can further assist you in learning the right way to swing your bat, run that last mile or score that goal. Even better, he’ll teach you how to improve your performance while decreasing your risk of injury. Your personal trainer has extensive knowledge in anatomy and physiology. That means he knows how each of your muscles works together, and how they work in conjunction with your joints and tendons. Working with a personal trainer, you’ll improve your technique – safely – and notice a difference in your overall performance. 2. You’ll get a personalized plan. You’ve got a great coach who pays attention to the individual needs of his team members. But as good as the advice is that your coach offers, he’s still a busy person. He doesn’t always have the time (or the knowledge) to personalize a plan that will boost your performance. A personal trainer does! In fact, that’s pretty much a personal trainer’s job description. Your trainer will work with you to customize an exercise plan and a nutrition plan that will work alongside your lifestyle and your sport. When you first meet with your personal trainer, you’ll discuss your objectives. Do you want to run a faster mile? Increase your stamina? Or just improve your flexibility? After hearing your goals, your personal trainer will develop a customized plan that’s easy for you to follow that will ensure you attain those goals. 3. Personal training improves your mental health. It’s a fact – exercise improves mental health. It decreases the instance of depression and builds confidence. It also helps enhance your brain function, leading to better focus and clarity on the field. Regular sessions with your personal trainer keep you on track toward better mental health, which is important both on and off the court. Continuing these sessions in the off-season will only serve to prepare you for the peak season, giving you a huge competitive edge. 4. Your personal trainer will work with your coach. Many athletes (and coaches) are misinformed about the role of a personal trainer. It’s commonly assumed that your coach and your personal trainer will be in competition with each other. But this couldn’t be further from the truth! If you have specific training directives which have been passed on to you from your coach, do let your personal trainer know! Or, if your coach is willing, have him meet for a few minutes with your personal trainer. In other words, allow your coach and your trainer to collaborate. With input from your coach, your personal trainer will be better able to develop a long-term plan that’s optimal for your sport and your goals. As an athlete, hiring a personal trainer may directly impact your career! For that reason, it’s important that you do your research before hiring someone. There are a few things you should look for when choosing a personal trainer. Let’s take a look. At the very least, your personal trainer should be certified by one of the nationally accredited certification programs. ACE, IAFS and AFAA are just a few of these programs. Be sure to ask your trainer which he holds. Some personal trainers may also have specialized certifications. For instance, corrective exercise, performance enhancement or even MMA conditioning are examples. Your personal trainer should be CPR certified. During the off-season, you may have all the time in the world. But when peak season rolls around, you’ll find yourself in need of a personal trainer with flexible scheduling. Talk to your trainer about his schedule, and his willingness to work with yours. A flexible schedule is important in establishing a long-term relationship. Non-athletes typically interview a personal trainer based on their own goals. Weight loss and flexibility training are examples. Clients feel, rightfully so, that it’s important for a trainer to have experience with others who have similar goals. It’s no different for athletes. There’s no sense in hiring a personal trainer whose experience is with football players when you’re a swimmer. Of course, there will be some overlap, but it’s important that you ask your trainer about experience with your sport or your goal. One of the most essential aspects of your relationship with a personal trainer is his ability and willingness to communicate. Your trainer should have set hours that you can contact him, and he should also be willing to chat with your coach from time to time to keep goals aligned. The method of communication may be important to you, too. If you find yourself away from your phone during the day, but online in the late night hours, find a trainer who’s willing to accept emails. Not a phone call kind of person? Find out if your trainer will accept text messages. Communication with your personal trainer is the first step to success in reaching your goals. By communicating with you and your coach, your trainer will be able to continually evolve your fitness plan in a way that’s going to benefit your performance. Now you understand the difference between an athletic trainer and a personal trainer, and you know that a personal trainer offers a more comprehensive approach to your health. It’s time to get in touch with a personal trainer and schedule your interview – you’ll be enjoying a huge competitive edge in no time!